As President Trump prepares for his speech about an hour from now, which he is expected to unveil a plan for a “strategy in Afghanistan” that will undoubtedly include increases in US troops to the country, Kentucky Senator Rand Paul has already voiced his opposition to such a plan. “The mission in Afghanistan has lost its purpose, and I think it is a terrible idea to send any more troops into that war,” said Dr. Paul. Trump who said numerous times prior to becoming commander-in-chief that the US was “wasting lives and money in Iraq and Afghanistan” and “it was time to come home” appears to have reversed his position on these conflicts in the Middle East. Paul has been a leading advocate for returning war-making powers back to Congress. Earlier this year he introduced an amendment to the NDAA to repeal the 2001 and 2002 Authorizations for Use of Military Force (AUMFs), and he will do so again as soon as Congress reconvenes. His amendment expresses the sense of Congress that the President cannot conduct ongoing U.S. military operations in Afghanistan without an AUMF from Congress authorizing such conduct. He strongly believes that if the President and Congress want to continue the war in Afghanistan, then at the very least Congress should vote on it. Whatever happened to Article I, Section 8, clause 11 of the US Constitution? Absolutely agree. But there is much more long range plans afoot than ‘winning’ in Afghanistan. There is having the troops on the ground so when the 2 ‘claimed independent’ areas (Rojava and Kurdistan) declare the troops will ‘protect’ them until the UN gives them nation status, probably within 24 hours. And the long term 20 year inhabitation of Afghanistan familiarizes the children who have only now returned from Pakistan. 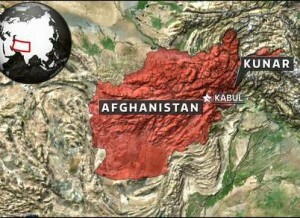 They know no other Afghanistan so the American troops are going to be part of their future. This is the way we fight wars nowdays; by being constantly there. In 20 years and a new generation later, we are part of the scenery. That’s why the Viet Cong fought so hard to get rid of us. It was their future. We cannot “win” in Afghanistan anymore than we were able to “win” in Vietnam, Therefore let us leave now rather than wait for another year and waste $360 billion and how many lives.